Russian Mir submersibles are among the few able to reach the Titanic wreck site. 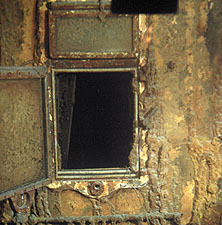 Left, "rustsicles" of corrosion hang from the bow of Titanic. Peering through the tiny porthole, I gaze into the darkness. The minisub's external lights illuminate a small patch of the seabed's yellow-white silt and clay as a large rattail fish undulates across my field of vision. Suddenly a massive wall of steel looms out of the darkness. Thick orange, red, and bright yellow "rustsicles" (icicle-like formations of rust) streak down the black metal plates and onto the seafloor. The abrupt encounter with the corroded steel almost takes my breath away. But it's not the suddenness of the moment that grips me; it's the fact that I'm two and one-half miles below the North Atlantic at the bow of RMS Titanic. Despite years of shipwreck exploration as a maritime archaeologist and a decade as director of a maritime museum, Titanic was never high on my list of lost ships to visit. I'd never considered it an archaeological site, but rather an underwater museum and memorial. Until recently, my interest in the vessel was confined to the world of archaeological and museum politics. I've helped author a proposed Titanic treaty between Canada, France, the United Kingdom, and the United States. 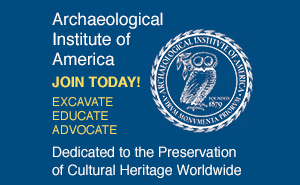 As a board member of the International Congress of Maritime Museums and the Council of American Maritime Museums, I've had exhaustive discussions with the former management of Atlanta-based RMS Titanic, Inc.—the salvage company awarded rights to Titanic by a U.S. District Court in Norfolk, Virginia, in 1988—as we grappled with the ethics of some museums' decision to display artifacts recovered from the wreck site. I have also pressed the company to adopt an archaeological approach to its work and guarantee that the artifacts from the wreck not be privately sold. As part of an independent team of archaeologists and museum professionals, I traveled to the Toulon headquarters of the Institute of France for Research and Exploration of the Sea (IFREMER), co-discoverers of the wreck with Robert Ballard. There we reviewed hundreds of hours of video, numerous photos, and dozens of dive logs from the joint IFREMER/RMS Titanic, Inc., salvage effort. As a member of the International Council on Monuments and Sites, I've also tackled the issue of shipwrecks as heritage sites and am preparing to nominate Titanic to UNESCO's list of World Heritage Sites. Last summer I received an invitation from Seattle-based Zegrahm Expeditions to join a group of adventure travelers from the United States, Australia, and Britain who had paid $35,500 each to look at but not touch the wreck. I had read or heard of a number of alarming accounts of encounters with Titanic—tales of subs colliding with the wreck, remotely operated vehicle inspections deep inside the ship, conflicts within the ranks of the salvagers over what should be brought up, and rapid deterioration that would cause Titanic to collapse within a few years. Rather than read or hear more about it, I decided to go and see for myself. I would be the first archaeologist not affiliated with salvagers to dive on the wreck. After a three-day, 368-nautical-mile voyage from St. John's, Newfoundland, our research vessel Akademik Msistlav Keldysh arrived at the wreck site literally days after RMS Titanic, Inc., concluded its year 2000 salvage operation. Because the Russian crew and scientists aboard Keldysh must scramble to find money for their ship and its global research program, the vessel and its two Mir submersibles have been among the principal participants in the salvage dives. They know the site well. Subs clamping on to view the captain's quarters have broken rust off a pipe, exposing fresh, black steel to seawater. The participants in the Zegrahm Expeditions received daily briefings on submersible operations, shipwreck archaeology, and, of course, Titanic. Weather permitting, the ship's submersibles would each take two adventurers per day down to the wreck to observe and photograph the ship and the debris field. RMS Titanic, Inc., had fought a long, hard court battle to keep others away from the wreck, arguing that tourism or filming dives infringed on their proprietary rights. The final judicial decision limited their rights to filming and artifact recovery. While I believe that the public should have the right to visit historic and archaeological sites whenever it is safe for them and the site, I also realize that free access effectively limits RMS Titanic's commercial options and could encourage the company to focus solely on profits from artifact recovery. There are no simple answers to the questions posed by this wreck. After debriefing each dive group on their return, reviewing their videos, and assembling a site map, it's now my turn. Scott Fitzsimmons, president of Zegrahm Expeditions, and pilot Evgeny Chernaiev are to be my companions in Mir 2. The 18.6-ton Mir 1 and Mir 2 submersibles, built in 1985-1987 at a cost of $25 million each are capable of diving to depths of up to 37.3 miles (19,700 feet). The heart of each sub is a nickel-steel pressure sphere within which three persons—a pilot and two observers, as well as life-support equipment, imaging sonar, and the sub's controls—have to fit. It's a tight, cramped workspace. 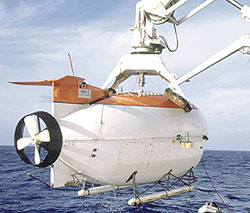 A fiberglass skin covers the sphere, leaving three viewing ports (one forward and one on each side), video and still cameras, thrusters, and two manipulating arms exposed, as well as landing skids on the sub's bottom. Climbing into the Mir 2, Fitzsimmons and I take up positions beside Chernaiev as he prepares for launch. We lie, half-flexed, on narrow, padded benches along the side of the sphere. As the hatch is secured and the life support system starts up, a huge crane hoists us off the deck and over the side of the ship. We hit the water and the sub tips and rolls for a few minutes as Chernaiev checks systems and reaches overhead to power up the ballast pump. As 3,300 pounds of water flood into the ballast spheres, we start to spiral down into the darkness at a rate of 106 feet a minute. Visitors to Titanic have left memorial plaques and a bouquet of plastic roses at the base of the telemotor on the ship's bridge. 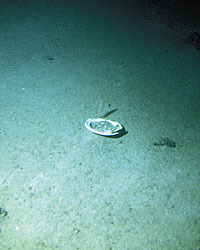 A plain, broken plate on the seafloor may have been left by salvagers seeking to recover fancier or pristine objects. After a long fall, the sonar begins tracking the seafloor beneath us. Chernaiev starts Mir 2's thrusters, and we slow our descent and lightly touch down. We're at 12,675 feet—the average depth of the world's oceans—and the pressure outside the sphere is more than 6,000 pounds per square inch. In the darkness, 1,650 feet away, the sonar clearly shows the sharp angle of Titanic's bow, which plowed the seafloor when the ship hit bottom. Within a few minutes, we're at the bow. Rising up along it, we pass the ship's two eight-ton anchors resting inside their hawse pipes. Just behind the tip of the bow, a 50-ton spare anchor is still stowed on the deck; its size is stunning. Bigger than our sub, it is a powerful reminder of the scale of this ship. From the bow, we maneuver over rows of anchor chain, capstans, windlass, winches, and the no. 1 cargo hold, reaching the base of the foremast, now sheared from the hull and resting against the winches. Climbing along the mast, we pass an oval hatch marking the location of the crow's-nest. 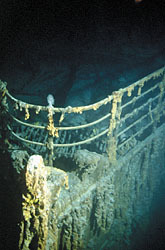 Clearly visible in photographs of the wreck taken in 1985 and 1986, immediately after its discovery, the crow's-nest is now gone. There are conflicting claims over who has bumped into and damaged the ship. RMS Titanic says the Russians have; the Russians say it was IFREMER. While this feature had no archaeological value, its loss diminishes one's sense of being at the place where the drama of April 14, 1912, began, when lookout Frederick Fleet picked up his telephone to the bridge and shouted, "Iceberg, right ahead!" From the broken mast tip we drift toward the starboard side, passing the bridge, much of which is gone, either smashed by a falling funnel or swept away by the sea as Titanic sank. All that remains is the brass telemotor, or steering gear, the wooden sill of the bridge's bulkheads, and a tangle of electrical wires. 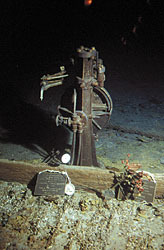 Five brass memorial plaques, placed here by earlier expeditions, and a bundle of plastic red roses are silent reminders that this is a gravesite. There are other, equally powerful reminders of the "night to remember": empty davits from which lifeboats hung, gaping doorways and windows of the officers' quarters, and a huge hole where the ornately carved first class staircase led below. At the edge of one deck, two chandeliers are visible, hanging from their wiring. We follow the sloping deck to a break in the hull and fall to the seabed again, turning forward to look into the severed bow section's boiler room. Here, torn, crumpled steel and crushed and twisted water and steam pipes are a testament to the forces that ripped Titanic apart. We head for the stern section, 1,800 feet away. The seabed is marked with skid marks and scoops from the salvage dives; very few artifacts are visible, but soon we encounter ceramics and now unidentifiable, corroded objects of copper, brass, and steel. Despite claims by salvagers that their work is archaeologically based, it becomes obvious that they have been highly selective in what they retrieve. We see unmarked and third-class ceramics, and a few broken or badly chipped second-class pieces—no first-class china. We see scoop marks that show where selected pieces have been plucked from clusters of artifacts—no grids, no scientific sampling—simply for their display or monetary value. What is happening here, two and one-half miles down and out of sight of much of the world, is not archaeology. The area around the stern is thick with debris, suggesting that even after more than 100 salvage dives vast portions of the wreck site remain unknown and untouched. I see large items—a cargo crane, a broken engine cylinder, and a propeller—along with torn, curled, and warped pieces of the hull. There are also smaller items, including champagne bottles, the ornate bronze end of a deck bench, plates, a small bronze ship's bell, and a lantern that I'm amazed to still see here, given the numerous "clean" patches of bottom we've passed over elsewhere. Off to one side, we spot a pair of boots. Small, flat-heeled, and calf-length, they are the shoes of a working-class woman, perhaps a steerage passenger. They lie side-by-side and are still laced tight. The body is long gone, consumed by the sea. 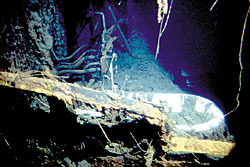 Preservation of the wreck is variable. Windows of the officers' quarters show little corrosion and have some glass intact. Chernaiev believes we are in an area of the wreck he has not seen before, although he is not certain. This highlights a troubling aspect of the salvage dives. Before each year's dive operations, by IFREMER's Nautile or Russian Mirs, crews deploy three navigational transponders on the bottom, which should allow the sub and the surface vessel to plot their position relative to the transponders and the wreck. But every year each dive operation has used different positioning points. Even so, sub tracks and artifact positions could be plotted on an overall site plan. But, the last time I saw IFREMER's dive plots, none had been collated and assembled onto an overall plan of the site. And that's just their data. The Russians have been diving on Titanic since 1991 for the IMAX film Titanica, filmmaker James Cameron, Zegrahm Expeditions, and RMS Titanic. I doubt that their dive plots and artifact positions have been merged with previous years' information. In short, other than the well-known intact bow section and the stern and the sub pilots' recollections, no detailed "road map," let alone a highly detailed archaeological site plan, exists. As we prepare to surface after nearly eight hours, six of them inspecting the wreck, I pause to reflect on the ship's condition. Some lighter plating is rapidly vanishing, but heavier metal remains solid. Paint still adheres to some surfaces, wood is present on railings and in sections of the deck, and rope lies on the decks and hangs from lifeboat davits. The rivers of rust that bleed from the hull and the rustsicles that hang like stalactites show that the bacteria that consume the steel are at work. But will they consume Titanic within a few years, or even a decade, as RMS Titanic, Inc., has claimed? I posed the question to corrosion specialist Dale Buckley of the Bedford Institute in Dartmouth, Nova Scotia. Buckley and his colleague, Patricia Stoffyn-Egli, were the first scientists to analyze samples of rusticles recovered during the 1991 IMAX filming expedition. Their assessment is that the rates of decay vary depending on the composition of the metal; that the bacteria are not consistently present (I saw sections of hull with no visible corrosion); and that Titanic will be around, and visibly identifiable, for centuries. The conclusion that the ship is in no imminent danger of disintegration won't please the folks at RMS Titanic, Inc. They maintain that artifacts must be recovered from within the wreck before it collapses. As we debate the wreck's future and the proposed treaty, however, it appears that we do have some time in which to make decisions. As one of only 100 or so people to have dived on Titanic, I feel that I certainly know more about the wreck now—and yet I know very little after just six hours on the site. More dives, by other archaeologists—and by museum professionals and policy makers—are needed, as well as more dives for the public. If we are to debate what to do with the wreck and what value it possesses, then we need as much information as possible, unfettered by proprietary considerations. After years of studying Titanic, reading the history books, and watching hours of video of other dives, this visit brought the past to life in that special way that archaeological discovery often does. It also gave me a better sense of the ship and disaster that befell it, her passengers and crew. Isolated images, black-and-white photos from 1912, and modern color video clips now meld seamlessly into a rerun of my dive. I close my eyes and even now see Titanic. 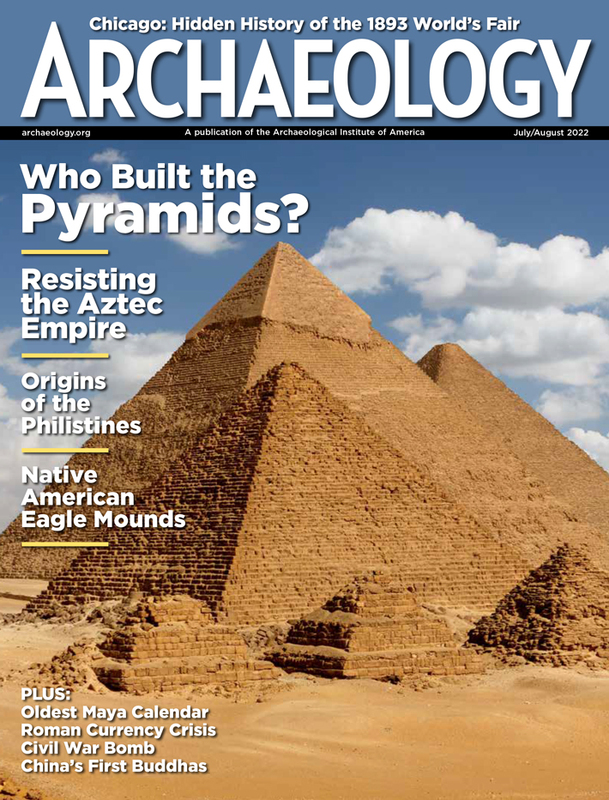 "Archaeology of Titanic," May/June 2012, James P. Delgado speaks of revisiting the ship as part of a new expedition in 2010. James P. Delgado is executive director of the Vancouver Maritime Museum and president of the Council of American Maritime Museums.